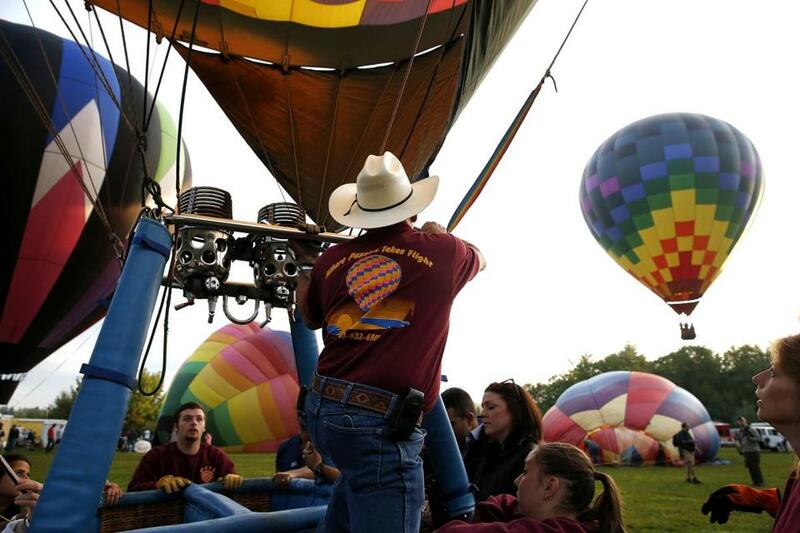 The annual Northeast Balloon Festival is taking place this weekend in Milford, N.H. 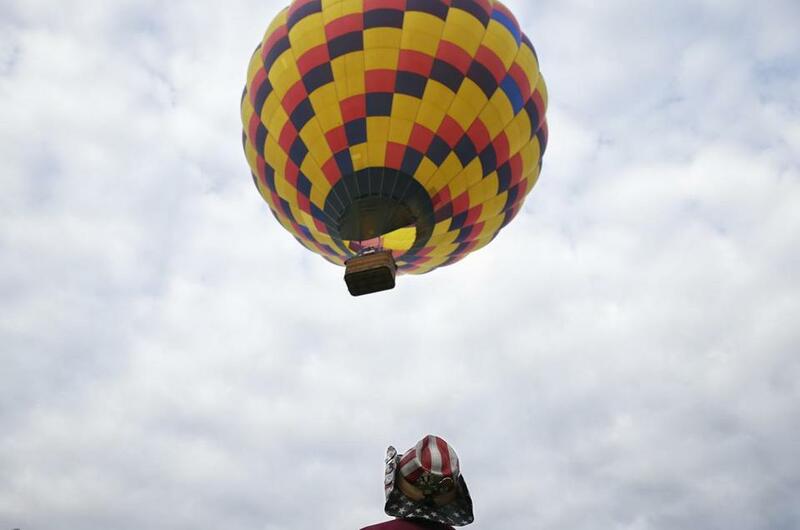 The event, which ends Monday, features balloons lit up at night, balloon rides, food trucks, musical performances, and artisan vendors. 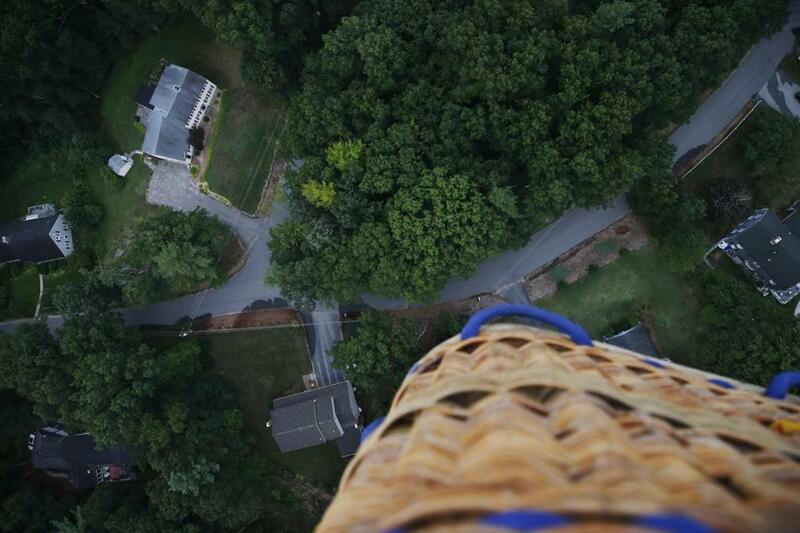 Eight balloons are taking part, according to the event’s Facebook page. 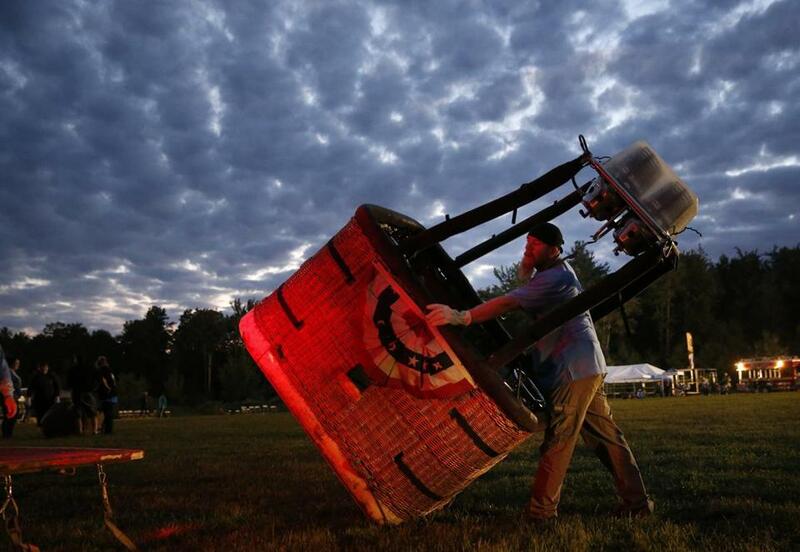 Eric Boyer of Ashland, Ohio, unloaded the basket of his crew's hot air balloon before dawn Sunday. Pilot Andre Boucher of A&A Balloon Rides prepared to launch his balloon. 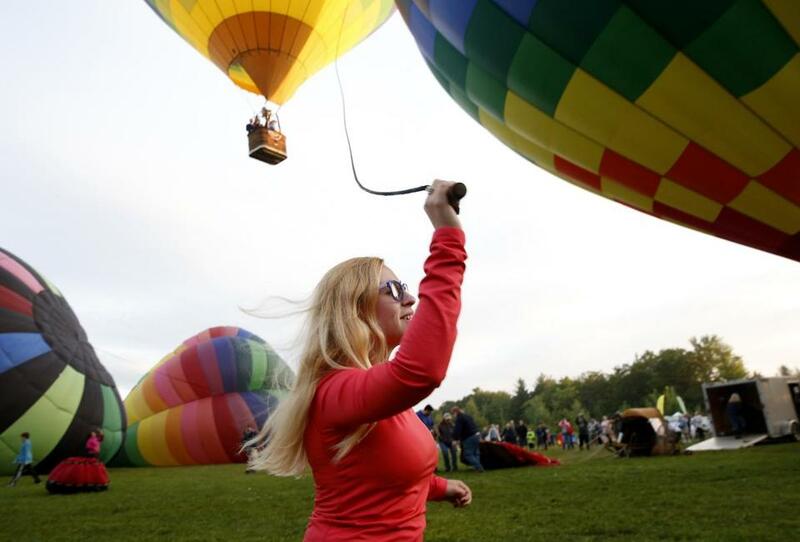 Sarah Rosenzweig of Brownsville, Vt., helped launch a balloon. 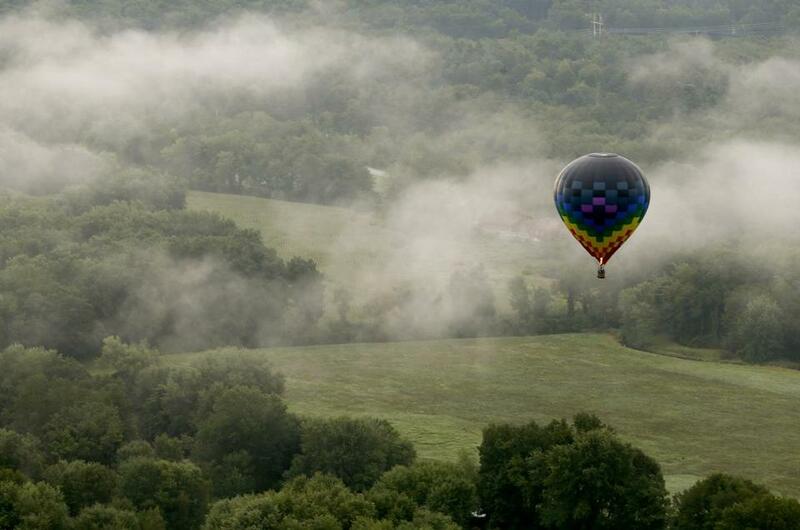 A balloon dipped into low clouds. 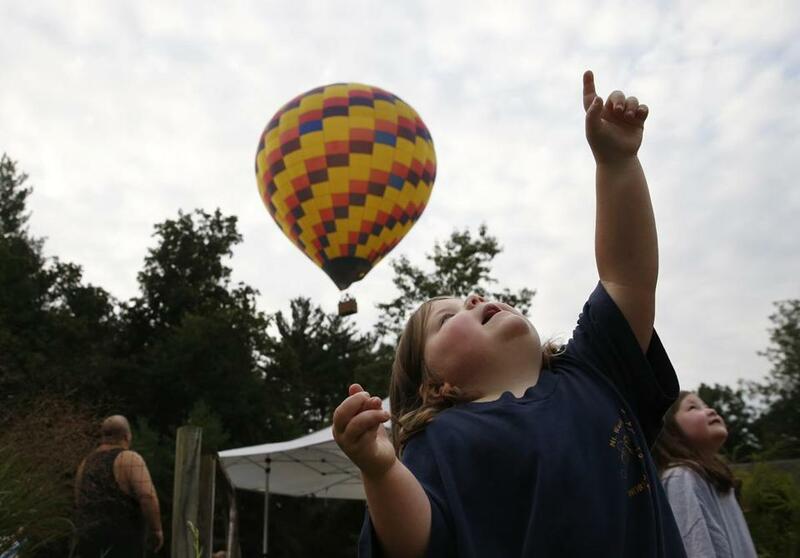 Kaitlyn Ziriak, 5, of Amherst, N.H., pointed as hot air balloons floated over her house. 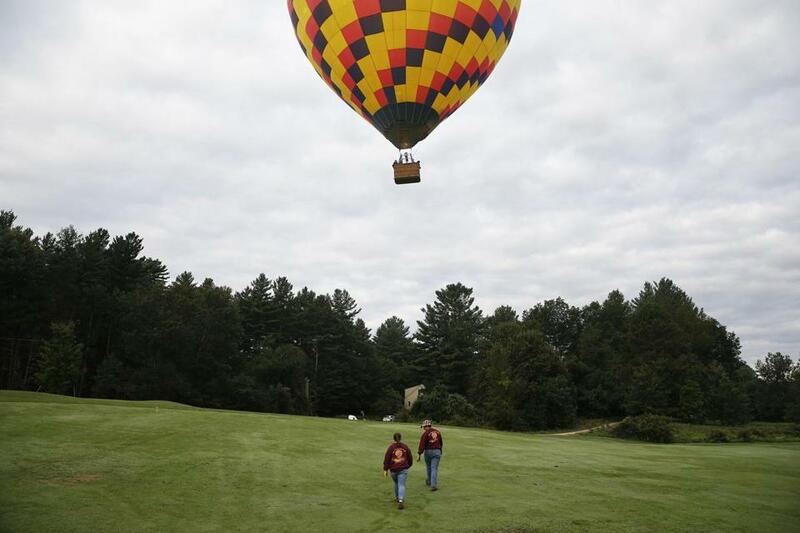 Jacob Godfrey of A&A Balloon Rides watched as “Passion” prepared to land at a golf course. Godfrey and Julie Vigue prepared to ease down “Passion” as it landed. 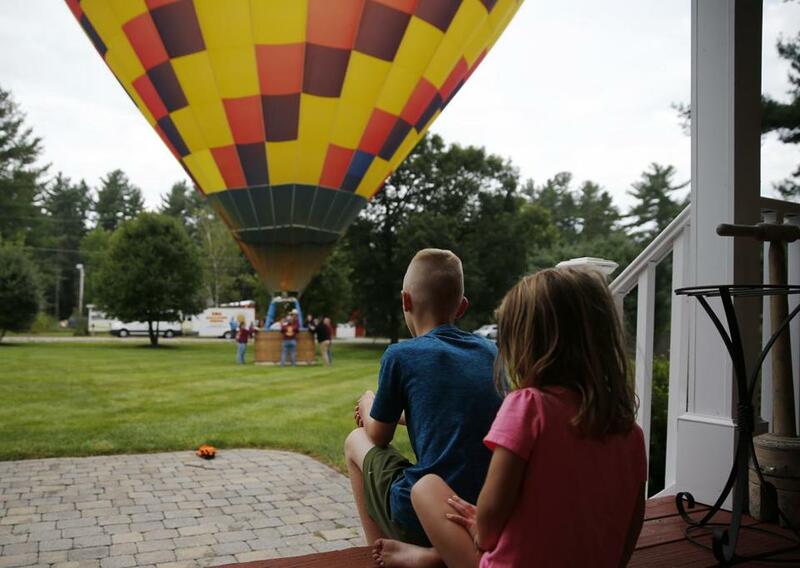 Michael Fiengo, 10, and his sister Magdalene, 4, watched as a balloon landed in their front yard.